You are here: Home › Tips for your website › Website maintenance: what about the good-looking fluffy websites around? and depress people with the presentation. Trust me; your website will come to no use of you. You have to make sure people come to your site bookmarks you for the authenticity and feeling you are providing with. I have seen many site owners maintaining a site without taking care of the growth in the industry. Yes, I am talking about the updated information available in your site. You cannot expect an old, ancient informative site to fight with the websites storing latest info, right? As an example, I would love to talk about a website that talks about products, product information and user feedback. You have to make sure that the site has the latest advancement of the product, latest bug reports and recent user comments. This will ensure that the people looking for this information will be returning to your site and referring it to others. Success of a business type depends on the delivery process and customer relation of the business associates. If your company can satisfy the clients, you don’t have to worry about the level of success you can earn in no time. In these cases of online marketing, it’s always important for a business owner to pay attention towards website pages, their designs and their user friendliness. When you are establishing a business online, you have to act in the same professional way that you would follow for an offsite business. A website on the first page of Google is not only a matter of marketing approaches today. 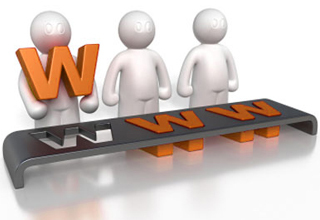 You cannot expect rise high in the search engines only with your approaches. Rather, you have to make sure that your website and content is reliable enough to help your audiences. A mixture of professionalism and dedication can really help you sort many problems. And this is also a prime concern of building a successful business online.